Look Fabulous and help Make-A-Wish with Rent frock Repeat! For the second year running, we’re very pleased to announce a partnership with Rent frock Repeat. Based in Toronto and Ottawa, Rent frock Repeat gives you a chance to wear the most gorgeous of haute couture gowns without paying haute couture prices. Why purchase a dress when you can rent one at 90% off its retail cost? Their stylists shop for the best designer dresses from around the world, visiting top fashion shows and showrooms. Then, they make the dresses available to rent for a fraction of the retail price. Just head to their website, sign up and browse through their incredible selection of gorgeous frocks. Add the ones you love to your wishlist, then make an appointment and try them all on and see what you love. And here’s the awesome part: Rent frock Repeat is proud to support The Princess Ball by awarding you a 15% discount on your rental. For every dress you rent, they will also donate 10% back to our fundraising cause. Simply use promo code PRINCESS when processing your order! It’s that easy! Live in the GTA and want try a frock on before renting? Call them at 1-855-376-2548 or email them at info@rentfrockrepeat.com and set up your own private fitting — for FREE! Visit www.rentfrockrepeat.com for more details. Don’t Miss Your Chance to Get on the Early Bird Ticket List! Make sure you’re on the Early Bird Ticket List by Monday, November 16 to access the exclusive link to purchase Princess Ball tickets on November 17th! Only those on the Early Bird List will be able to purchase tickets before the general public sale, so get on the list or miss out! Follow the steps in our Cheat Sheet for the best chance to secure Princess Ball tickets! Please note: while there are lots of tickets available for sale on November 17th, historically demand has outweighed the tickets available. Being on the Early Bird list does not guarantee access to tickets, and even if you follow these steps exactly, you still may find tickets unavailable due to the popularity of this event. Good luck and thank you for supporting Wishes for Olivia and Make a Wish Foundation of Canada. Mark your calendar! 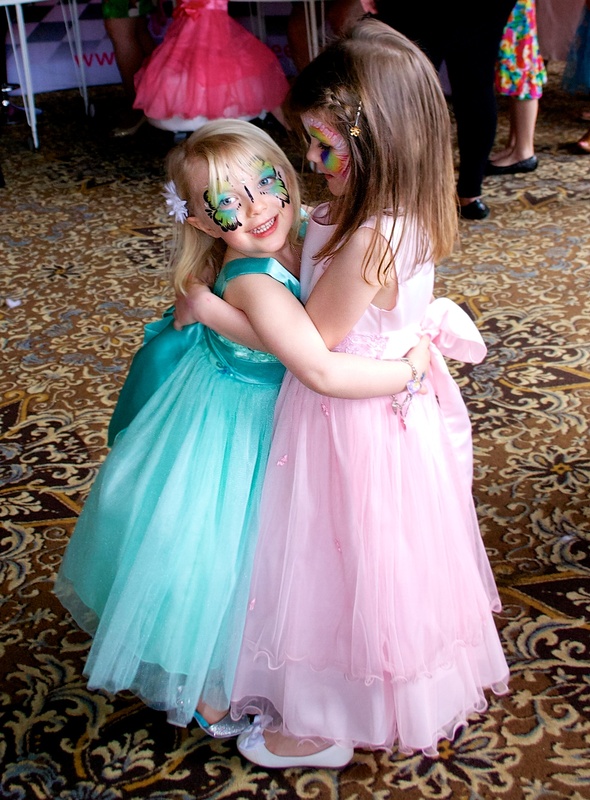 The Third Annual Princess Ball, will be held on Sunday April 17th 2016 from noon to 4pm. This lavish charity gala event for the whole family will once again raise vital funds for Make a Wish Foundation of Canada. Members of our Early Bird list will have the first chance to purchase tickets on Tuesday, November 17th 2015, two weeks before they go on sale to the general public. As a special bonus, Early Bird ticket buyers will receive a beautiful, custom invitation for each child ticket purchased, as a keepsake of this special event. Joining is easy; simply click here and you will have the opportunity to purchase tickets two weeks before the general public. Tickets are extremely limited, and have sold out within minutes of release. Don’t miss out! Stay tuned! More information about the Early Bird ticket sale, as well as the many exciting details about our event, will be released in the coming weeks. We couldn’t wait to announce our Silent Auction items for this year’s Ball, so we have decided to give you a sneak peek of some of our most exciting offerings. And remember: 100% of the net proceeds of The Princess Ball, including the Silent Auction, goes directly to Make-A-Wish Canada. Be Treated like a REAL Princess for the Day with a Background Role on the show that won the People’s Choice Award for Best New Drama in 2014; REIGN. Experience makeup and wardrobe before appearing as a background extra on one of Reign’s Toronto shoot dates. This experience is designed for one adult, or one adult and one child, and will last approximately 8-12 hours, including lunch. Experience the hottest band since, well, forever! Watch Zayn, Niall, Harry, Louis and Liam from your A-level floor tickets at the sold out One Direction show in Toronto on August 20th 2015. Take a trip back to early 1900s Toronto with a Murdoch Mysteries WALK-ON ROLE and SET TOUR! You will shoot a scene from an upcoming episode with cast members, in full costume and makeup. Also enjoy a rare behind-the-scenes look at the production including lunch with the cast and crew. Valid for an adult, or a child with adult accompaniment. Stay tuned for our comprehensive list of silent auction items in early April. Were you among the 950 people trying to get a few of the 250 Early Bird Tickets For The Princess Ball up for grabs on Tuesday? We were so overwhelmed and grateful to see how many people are helping us to achieve our goals of raising buckets of money for the Make A Wish Foundation of Canada in honour of Wishes for Olivia. The tickets went so quickly, even we were amazed! While we knew lots of people were interested, we did not expect quite the level of interest we saw. We are very humbled. And we know that there are still many people looking for their tickets to The Princess Ball. We still have lots of tickets left! Your next chance to secure tickets is December 2nd when they go on General Sale. Based on the Early Bird Ticket Sale demand, it is highly possible the General Sale tickets will go just as quickly – literally within seconds of 12 noon. Ticket sales are First Come, First Served, and we don’t have any FastPasses. While it does take a few moments for each person to finalize their transaction, once a visitor selects their tickets and presses the “order now” button to put the tickets in their carts, those tickets are not available to anyone else. If people who have tickets in their carts do not complete the process before their time window expires, or if they close their browser window, the tickets are then made available to others. Here’s some Eventbrite Best Practices for you to try to maximize your chances of securing those amazing Tickets! Well in advance of ticket sale time, go on to Eventbrite and create an account. While this won’t give you any advantage, it’s still helpful when you feel you’re racing against the clock to have all your information already entered. Know how many tickets you will need – you won’t have time to think about it on the day. If you are considering donating to help a child with health concerns attend the Ball, please do so well in advance of the tickets going on sale, as you will likely not have time to donate AND purchase tickets. On the day the tickets are available for sale, log in to your Eventbrite account a few minutes prior to 12 noon EST and go to the ticket page. Until noon, you will only see the option to donate. This is not a ticket. As you approach 12 noon, start hitting refresh. As soon as the tickets appear available, make your selections and quickly press Order Now. This will put the tickets safely in your cart until time expires or you finalize your transaction. If, when you land on the ticket page, the tickets all say Unavailable, this means tickets are all in other carts. At this point, it is possible that people may choose not to purchase these tickets. If they do not, the tickets will go back into the bucket for sale. So keep refreshing the page – things might come up! Once the page says Sold Out – that’s it. All tickets are finalized and sold. So – good luck! We hope everyone gets the tickets they’re looking for and we can’t wait to see you all on April 19th! Are you wondering what The Princess Ball is all about? Here’s a few choice peeks from last year’s event. Make sure you sign up for our mailing list to find out when tickets will be on sale for our 2015 event! The Princess Ball on Vimeo.